I’ve noticed quite a few people posting in our Facebook Group Saponification Nation (Join us!) asking for a vegan and palm-free soap dough recipe. Coincidentally, I happened upon making one the other day so I wanted to share. 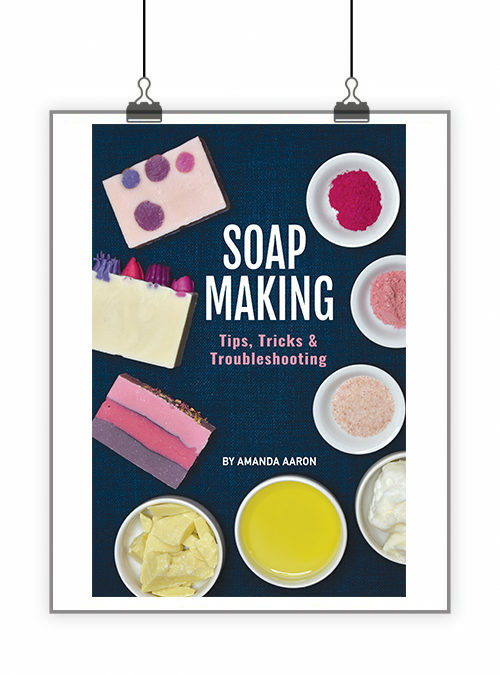 I am in no way, shape or form a soap dough expert. 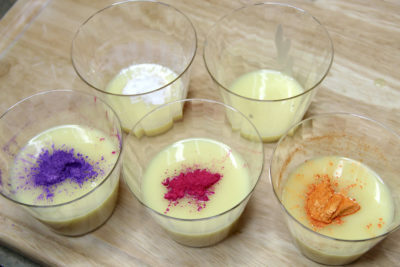 But this recipe might be a good starting point for those looking to formulate this type of recipe themselves. 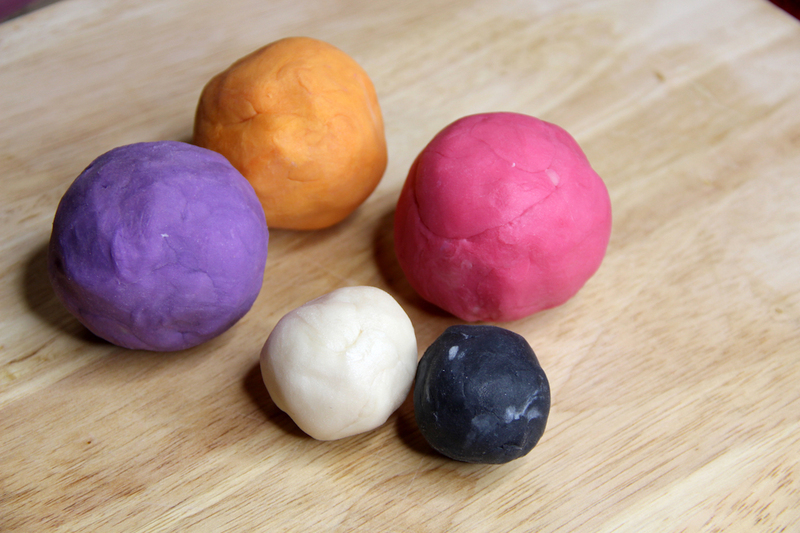 So what is soap dough? 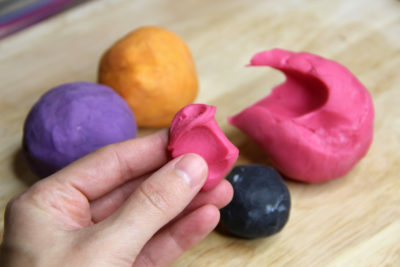 Soap dough or soap clay is a mold-able soap that you can use just like you would clay to form little embeds and figures for embeding on soap. I first saw soap dough being done by the whimsical Sarah Chapin of Whimsical Soap Works. 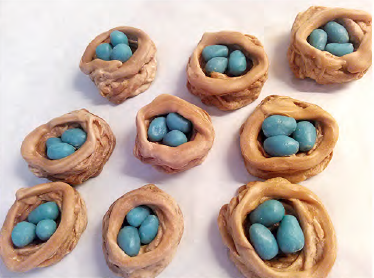 She wrote an article for Soap Collaborative teaching how to make adorable nests with robin’s eggs. 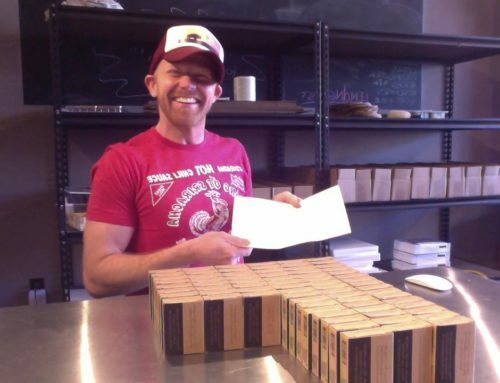 You can grab a copy here and all proceeds go to our non-profit, Lovin Soap Project. 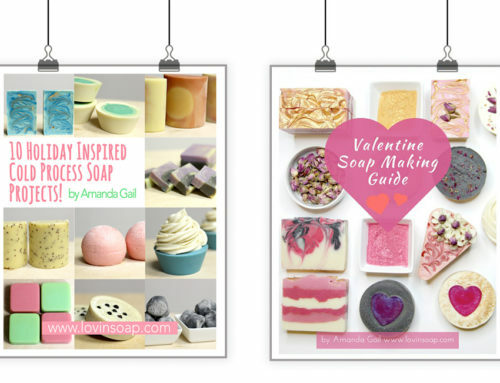 Then the lovely Bee started posting her stunning soaps made using soap dough and even wrote a book! 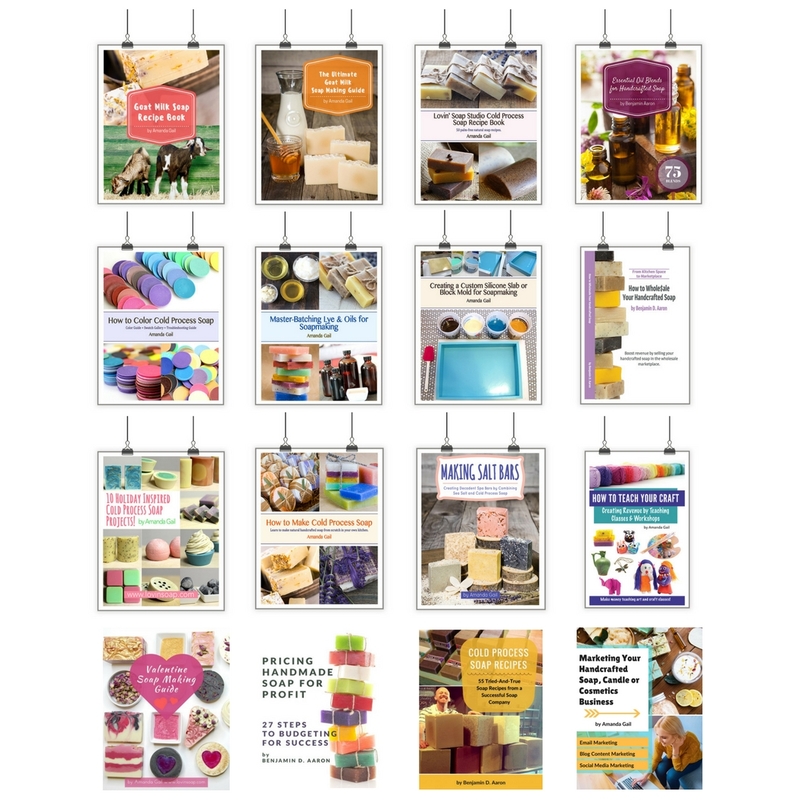 Check out her website here and be sure to join her Facebook Group for inspiration. 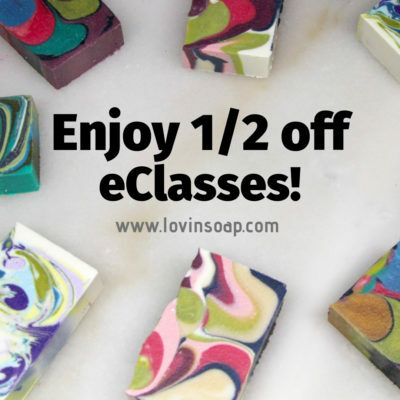 Read her guest post on Lovin’ Soap here. 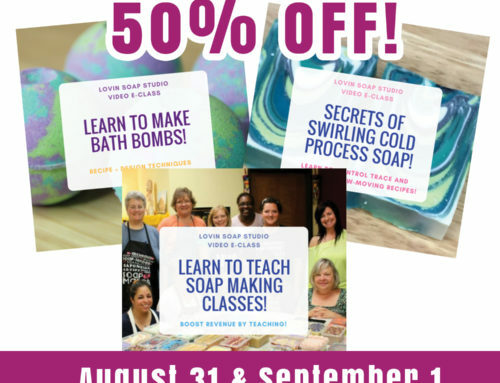 Another wonderful soap dough artist that I’ve noticed is Ronda Scorpio. She posts in our FB Group and I am just blown away by what she creates. 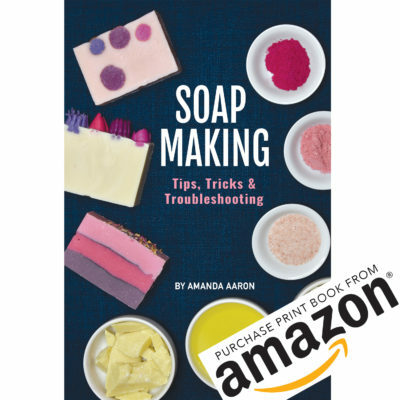 She creates stunning soap dough creations and runs a Facebook Group that you can join here. 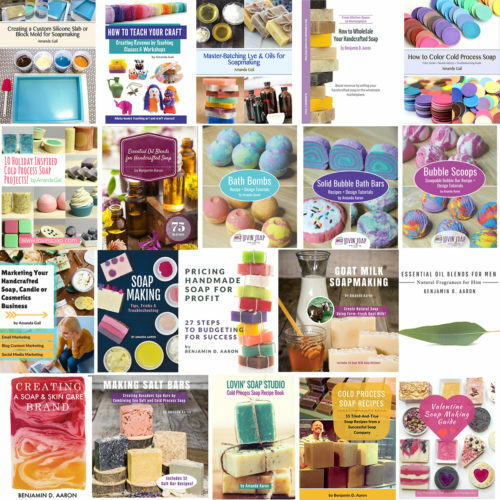 Do you have a favorite soap dough resource? Please share in the comments! So like I said, I came upon this recipe by accident. I was making piped flower embeds. 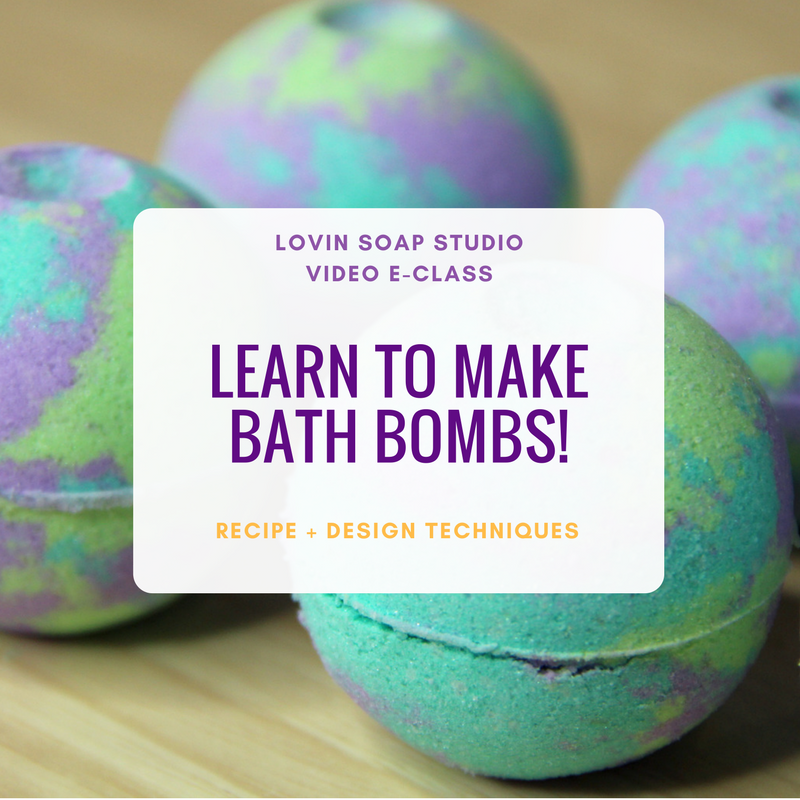 The next day I didn’t use all of the embeds so I rolled them into balls for another soap design. It rolled easily and was nice and smooth. I immediately though soap dough! So I made a new batch, increased the water a bit and it was even better. Here is the recipe that I came up with and how I made the dough. 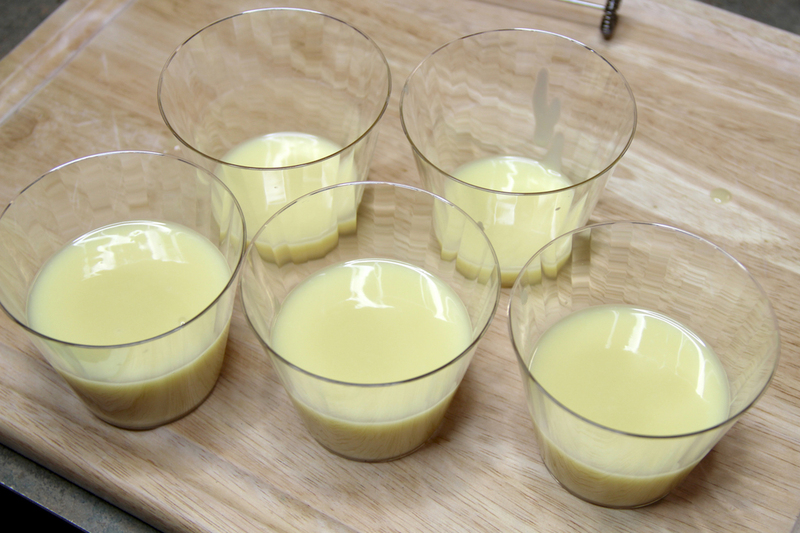 This recipe makes a small batch (447 grams total), perfect for testing. 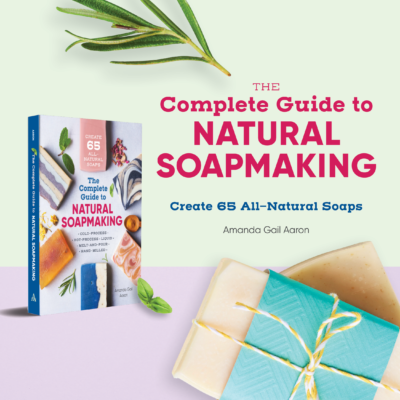 If you are new to soapmaking, be sure to download our free Basic Soapmaking Guide. 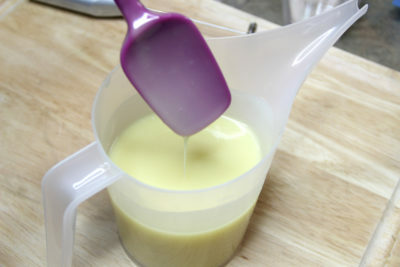 I used a 5% superfat and used water at 2.5 times my lye. If you wanted a softer dough (that takes longer to cure) then you can use water at 3 times the lye. This soap did not go through gel phase. I made my soap as usual, bringing it to a light trace. 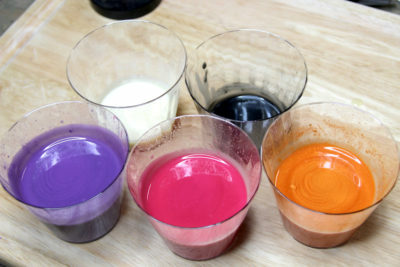 I then decided how many colors I wanted and grabbed some plastic cups. You could also use individual silicone molds or pour directly into plastic food storage containers. I colored my soap using mica for the colors and charcoal for the black. I added about 1/4 teaspoon each. I wanted it nice and saturated. 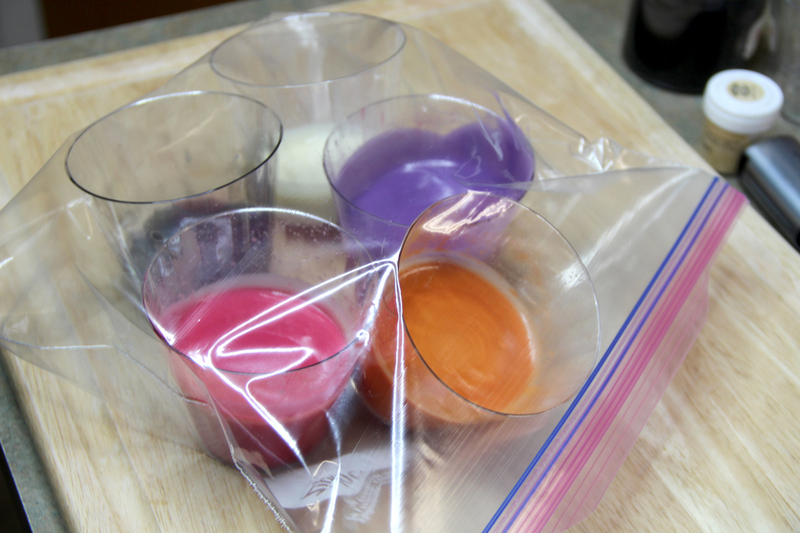 Once I got them mixed up, I put the cups in a bag so that air would not dry them out. 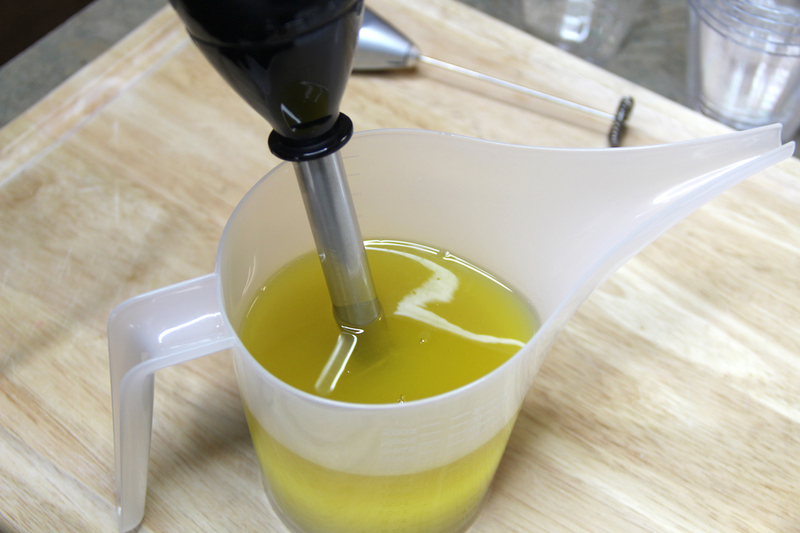 Again, you can even pour straight into food storage containers and put the lid on them. 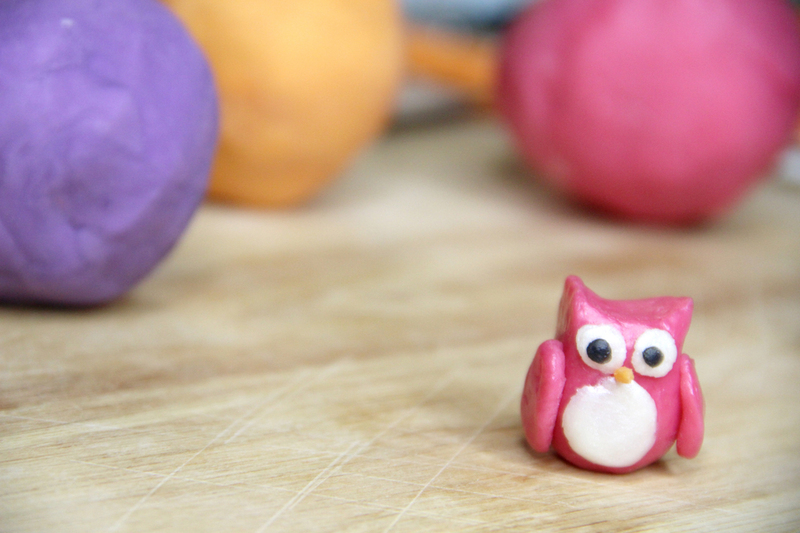 I ended up using my soap dough about a week later and they were still perfectly pliable. The main thing is to store so that air doesn’t touch them. You can wrap in plastic wrap and put into bags upon unmolding. Grab a pinch and work it in your hands to warm it up. This makes it more pliable and easy to shape. 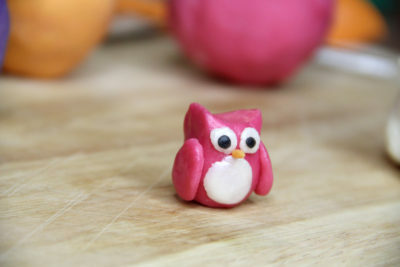 I searched YouTube for easy polymer clay tutorials and one of the first ones to pop up was this owl tutorial. This looked easy enough! There are tons of YouTube videos of people making soap dough. Do a search and spend a bit of time browsing for tips and tricks. Electronic mail Marketing – e mail and eCommerce? 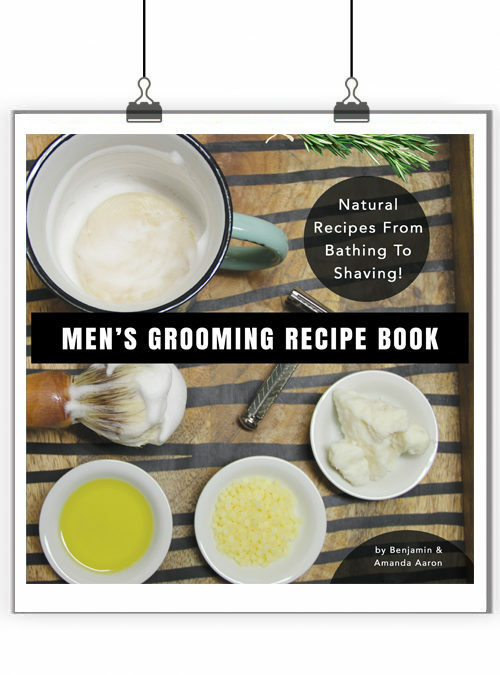 Wondering if I can use this recipe to make balls, that would be embedded in CP soap, and then how long it would take to cure the whole loaf and slice? Does the heat of the fresh CP then cure these dough balls? I see it says that the soap dough did not go through gel phase. My question is would it be possible to gel it or would it loose its shape? I’m not real sure if it would change the consistency or not. Give it a try and see. How long to cure? Still the same 4 week to 6 weeks? Aww, your Owl is such a cutie !!! Also interested if it hardens. Would it be good for embellishments on top of CP soap? Thinking Holly Berries, etc for Christmas decorations. How long do they need to stay in the plastic bags before I can use them? 24 hours? one week? You can mold them right after unmolding. So after 24 hours. Keeping them in the plastic bags makes sure that they don’t dry out and remain moldable for a long time. Does this harden after it sits or does it stay soft? Great idea and tutorial. Thanks so much! Yay! So excited to try this new recipe. I knew you would have one soon. Thanks so much and I will post pics of some of the creations we do for the kids’ classes. So,you can mold with it right after making and the lye doesn’t hurt your hands? Then does it have to cure just like regular cp soap? Thanks for the info. Thanks for the Palm Free Soap Dough recipe Amanda, you are always so generous!